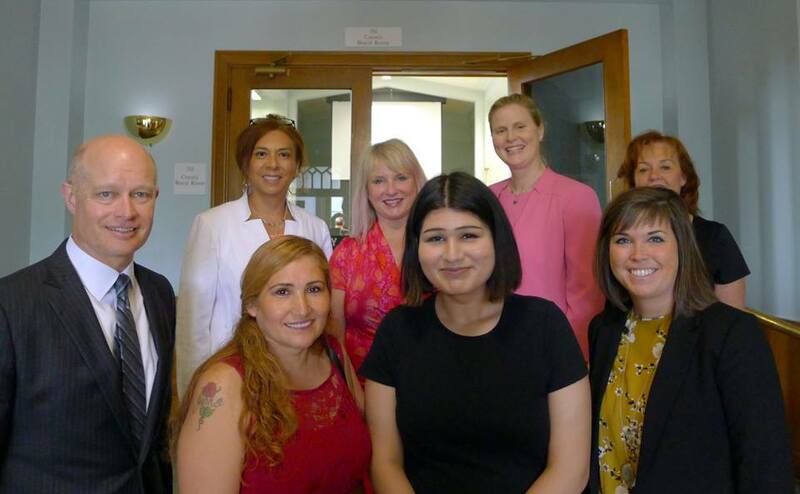 Row 1, left to right: Joseph McMahon (Kane County State’s Attorney), Ms. Olvera (Violet’s mother), Violet Olvera, Julia Schick (Juvenile Justice Council Coordinator). 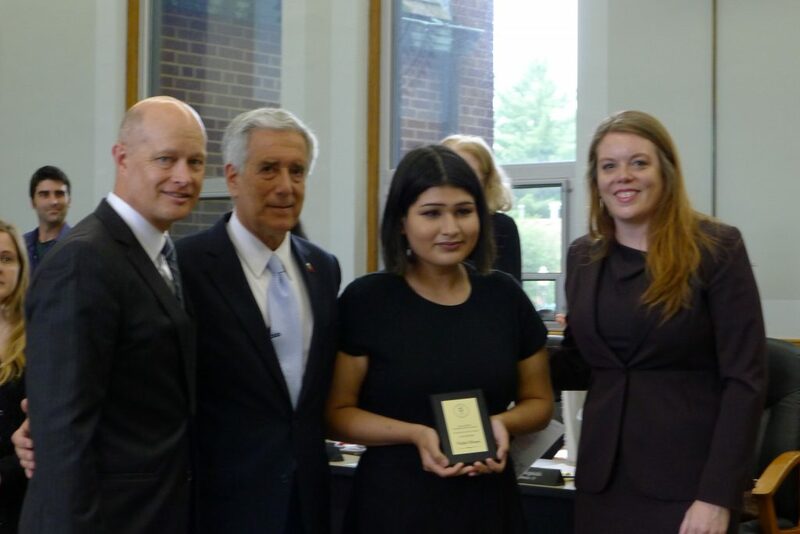 The Juvenile Justice Council would like to recognize Violet Olvera as the 2018 Outstanding Student. Violet was nominated by her teacher, Karen Tobin. Wrapping up her junior year at Dream Academy in Elgin, Violet told her story of learning to share her authentic self. She described the painful journey to reveal her identity, which included enduring bullying, struggling with her mental health, and dealing with feelings of not fitting in. Although this took a toll on her school performance, Violet’s perseverance and resilience led her to her first job and back on track with her academics. She will return to Elgin High School for her senior year with plans to attend college to study world languages in hopes of pursuing a career as an interpreter. On behalf of the Juvenile Justice Council, Violet was given a plaque to commemorate her outstanding achievements. 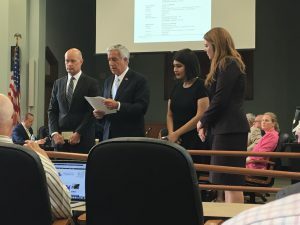 The Kane County Bar Association provided a donation to the Kane Excellence in Education Partnership fund for Violet to put toward her future educational endeavors. Chairman Lauzen recognizes Violet’s achievements in the face of adversity. The Juvenile Justice Council recognized the other 3 nominees for their efforts and accomplishments with a certificate of nomination.